I always have Oatmeals in my cupboards due to its convenience. It is my go to breakfast or snacks if I only have few minutes to prepare, eat and get ready. Perhaps it is one of the healthiest choices for breakfast which has vitamins, minerals and antioxidants and can be a good source of protein, complex carbohydrates and iron. I usually mix it with fruits and raisins. I have always believed in eating healthy and avoiding junk (“avoid meaning it is still okay to sin once in a while!). Studies have shown that eating oatmeal also help maintain healthy cholesterol levels and better heart health. It also promotes stronger body and better colon health due to its richness in fiber. 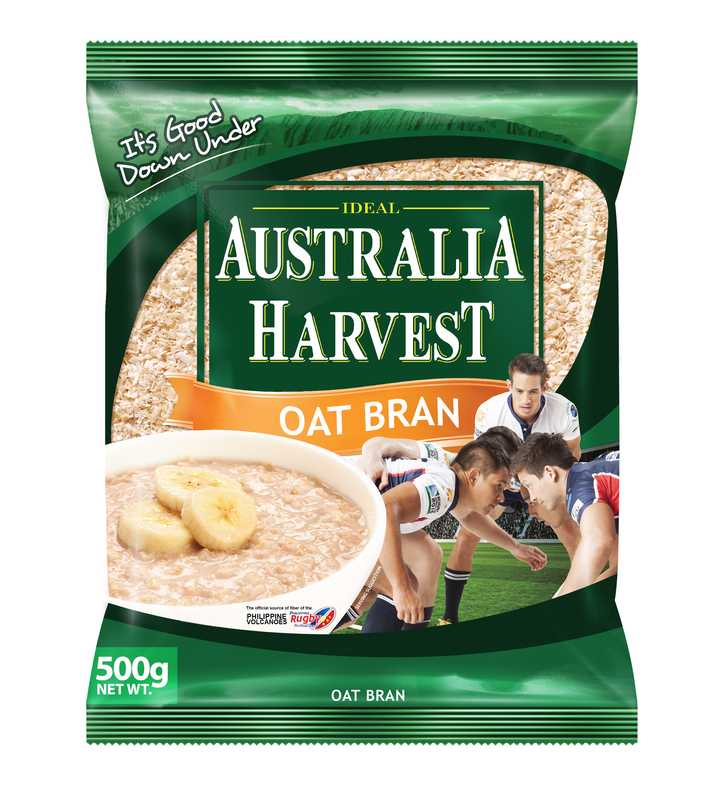 It is no wonder that the Philippine Rugby Football Union (PRFU) or the famous Philippine Volcanoes (which spells ABS for me) signed up for another year of being Australia Harvest Oatmeal’s endorsers. 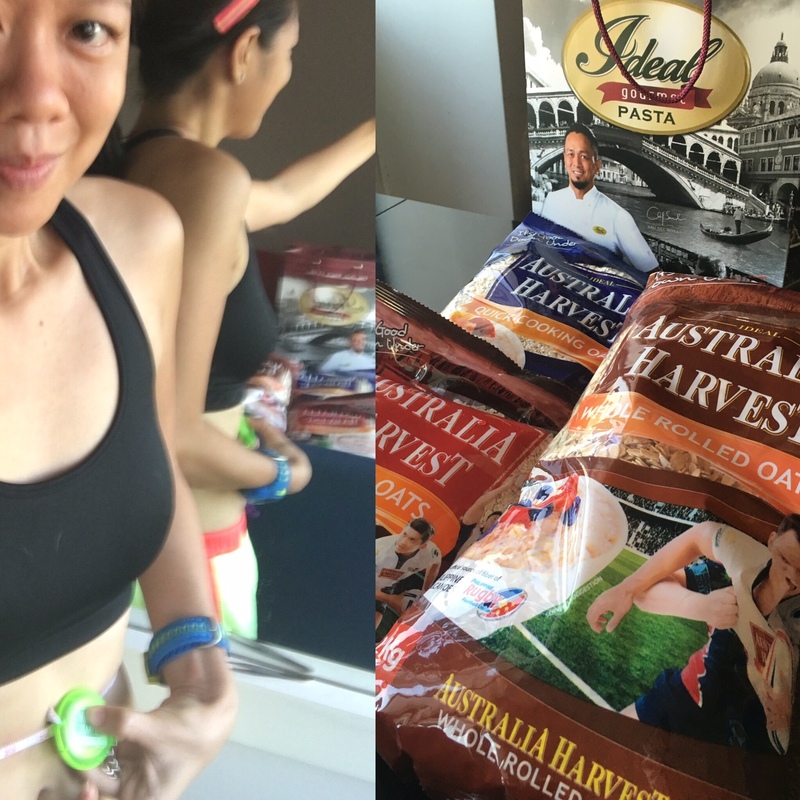 Australia Harvest shared the good news and sent some products to try out. Why not? 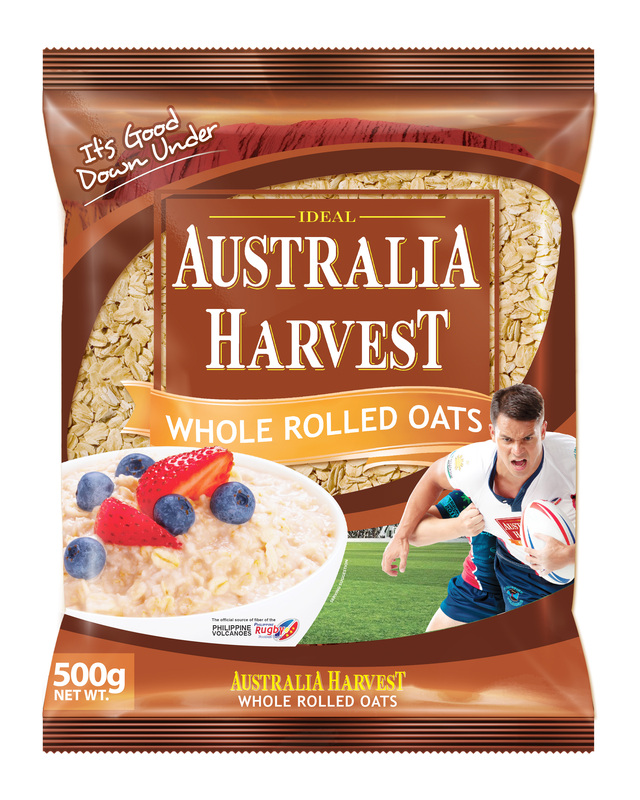 It would be good to experiment especially trying out recipes on the Australia Harvest Whole Rolled Oats which I have not tried yet. 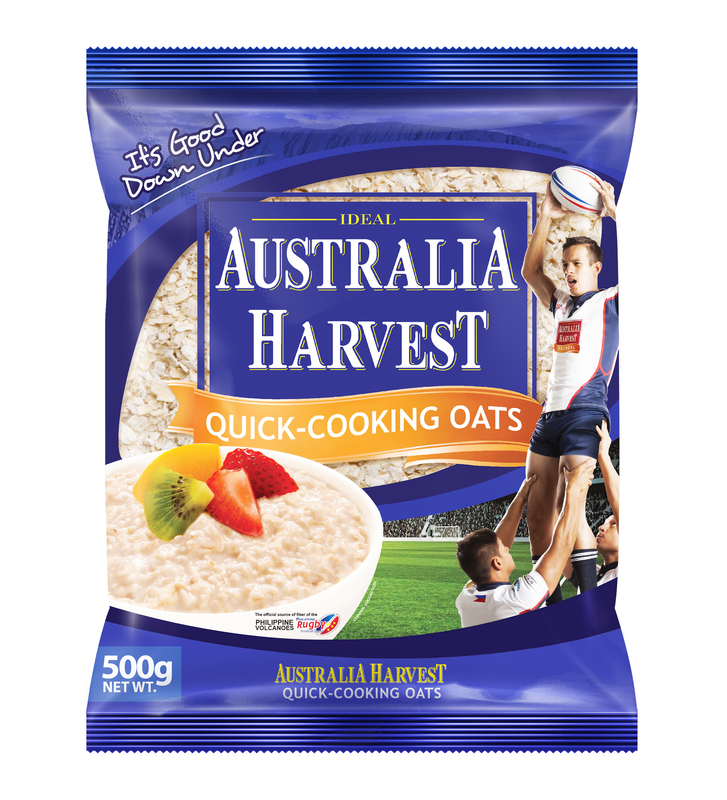 I still have a bottle of the Australia Harvest Quick Cooking Oats as I always choose the same brand when I do the grocery. I tried my usual recipe of the Whole Rolled Oats. 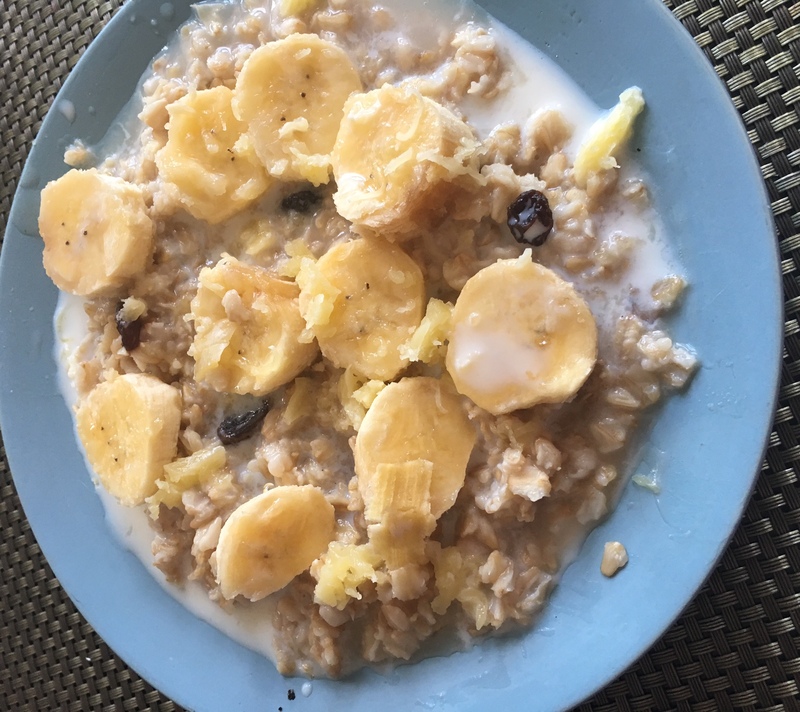 I just had two cups of oats, honey, and cheddar cheese cooked together for 5 minutes and added raisins and banana after. Usually, this is with the Quick Cooking Oats. The whole rolled seems to be more crunchy and tasty. ; trade-off is it takes a few minutes longer to prepare. 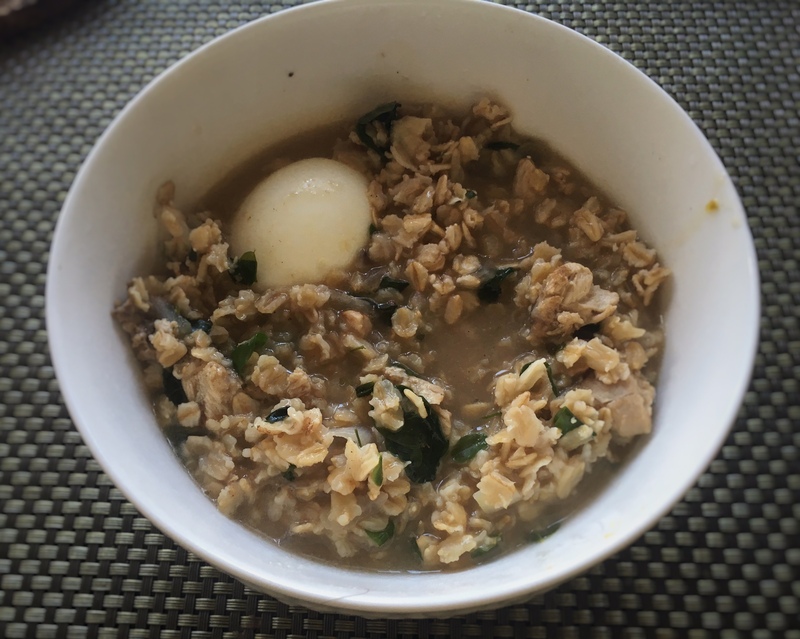 Next morning, I wanted something more filling and since I have enough time it was time to try the Oats-Caldo. There are instant flavoured versions of this but I am not a big fan of flavoured stuff; the more natural it is the better. I had the chicken cooked the night before. So, in the morning, it was easy. I started by sautéing onion, garlic and ginger in oil together with the chicken. I then added a pinch of salt and the whole rolled oats. Chicken broth (from boiling chicken the previous night) was added and then more water to boil. I added boiled egg and calamansi after. I didn’t have onion leeks which could have made it taste better. I only had malunggay in the ref so I added it for some greens, tasted a bit weird but hey it’s healthy! I have tried on eating mostly the oatmeals for breakfast the week leading to my comeback race, the Condura Skyway Marathon. 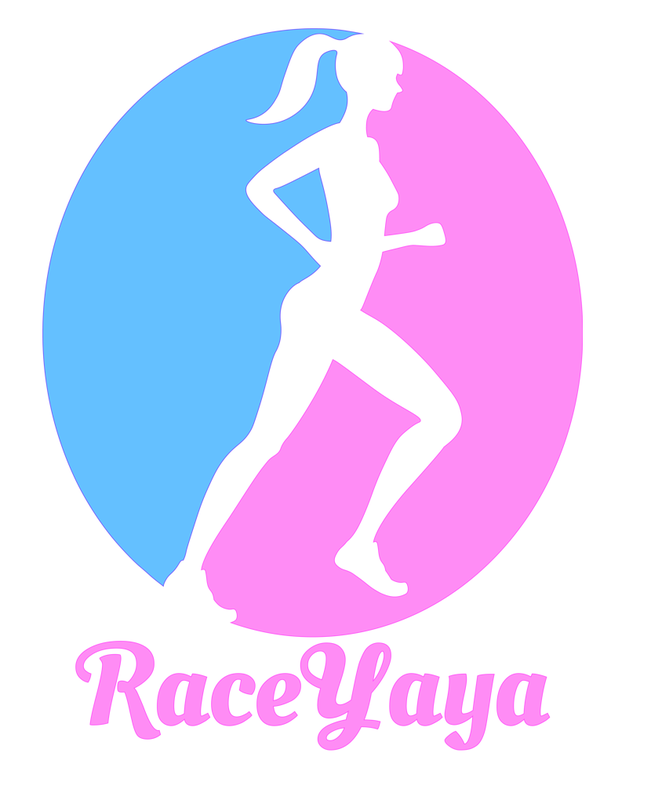 It was not an A-race as I am not prepared for it, more of a time trial to know where to start. My fear is that increase in fiber intake might affect my tummy but it proved it is not a problem at all. Portalet visits can be a hassle during a race, right? Perhaps it is because my day is quite high in protein and other stuff (I mean, I eat a lot.) so it offsets the increase in fiber intake. It really varies per person. What matters is we all should work towards food choices that are healthy and keep it balanced daily. RATING: It is really good down under! 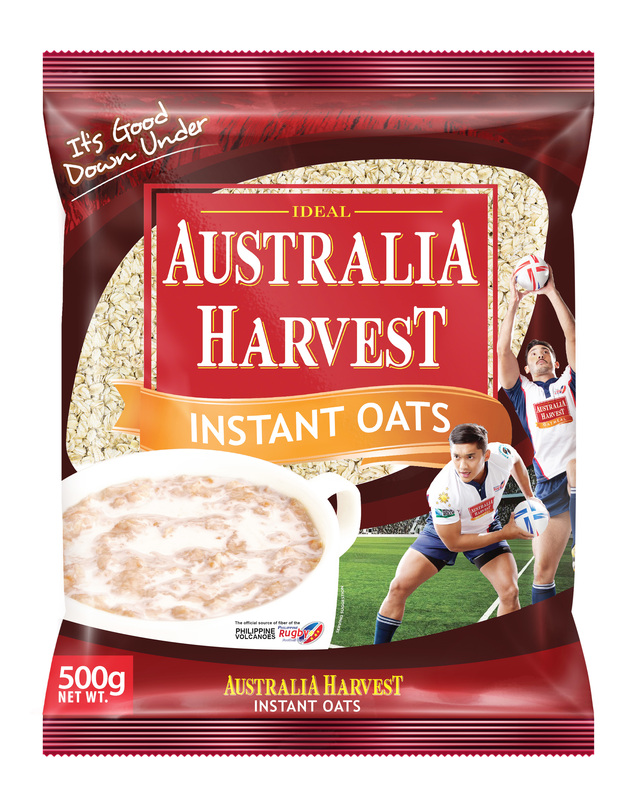 Here is the Press Release from Australia Harvest Oats. 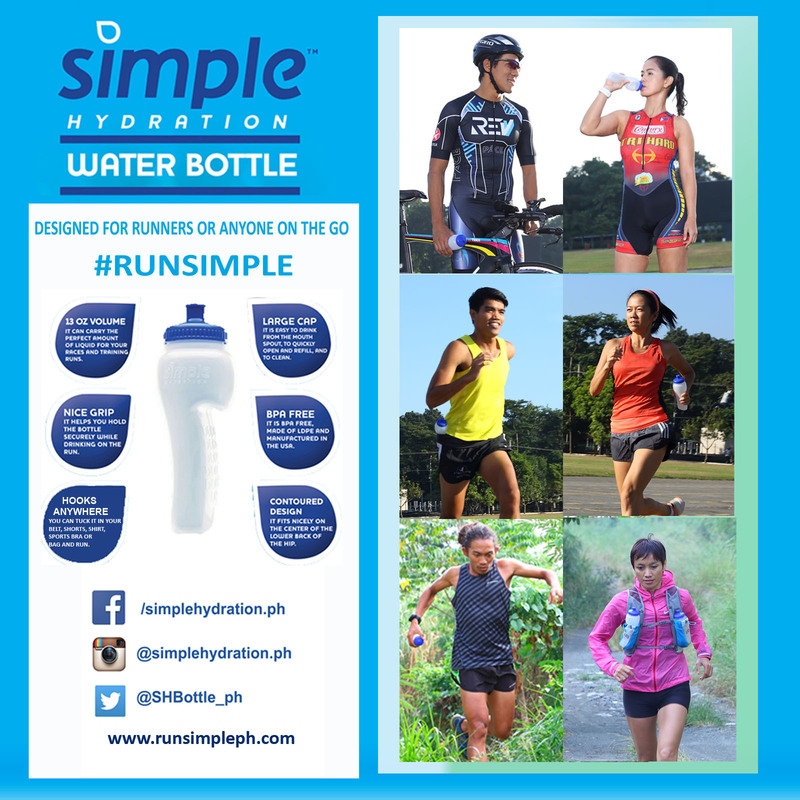 Who doesn’t want to have the “Philippine Volcanoes” fitness and looks (okay, abs! ).